I feel that someone probably blogged this before me, but this is the first time I'm seeing this, so maybe it's your first time too! And you love it, right? 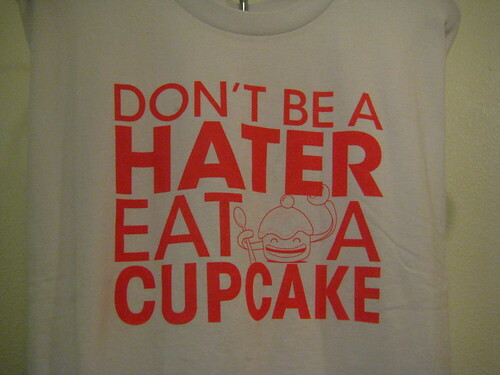 Don't be a hater, eat a cupcake. <==Perfect. Tee shirt from The Shoppe in Denver, Colorado; image from neko 4343. Oh my god....this is amazing! I want it!